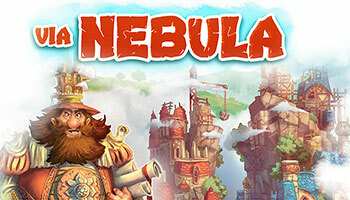 Crafters, builders and carriers - your help is needed to dispel the mists of Nebula! The people of the valley will reward you handsomely if you harvest and exploit our many resources, open paths through the mists, and help our settlers build new structures. Cooperate temporarily with other builders in order to create paths and share goods, but do not forget your own objectives. Will you have a statue erected in your honor on the Nebula City plaza? To achieve a construction, you fulfill a contract on one of your cards. You start the game with two contracts, and four more contracts are available for all players to see and use on a first come, first served basis - and that's where the cooperation abruptly stops. Additionally, most contracts have special powers that are triggered on completion. The nebula valley has just emerged from a dark era, when for centuries, monstrous creatures inhabited the mists. It is now time for guilds of brave explorers to travel through the foggy pathways, exploit the resources and build new buildings and towns on the ruins of the devastated cities. 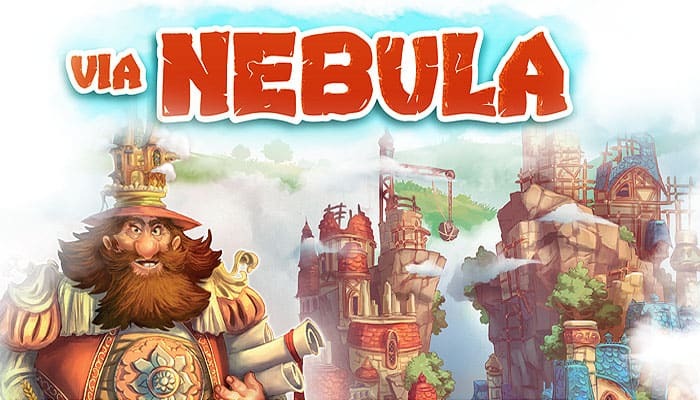 Nebula will retrieve its peace and prosperity, and you are to become the heroes of the valley! The cards usually offer a power. The power of a card may only be used immediately upon fulfilling that contract (erecting that building). If it is not used at that time, the power is lost and may not be used at a later time in the game. some powers appearing on the cards may conflict with the general rules of the game. in such cases, the power on a card always takes precedence over the regular rules.